Immune explores the incredible arsenal that lives within us - how it knows what to attack and what to defend, and how it kills everything from the common cold to the plague bacterium. The human body is like an exceedingly well-fortified castle, defended by billions of soldiers - some live for less than a day, others remember battles for decades, but all are essential in protecting us from disease. This hidden army is our immune system, and without it we could not survive the eternal war between us and our microscopic enemies. Immune explores the incredible arsenal that lives within us - how it knows what to attack and what to defend, and how it kills everything from the common cold to the plague bacterium. We see what happens when the immune system turns on us, and conversely how impossible life is without its protection. We learn how diseases try to evade the immune system, how they exploit vulnerabilities and even subvert it to their own advantage, and we discover how scientists are designing new drugs to harness the power of the system to advance medicine in the 21st century. Even if you are a science "nerd," scientific non-fiction can be difficult to embrace. Not many scientists have the gift of translating their incredibly vast knowledge into something that an average reader, without the benefit of a PhD, can understand. Catherine Carver is in the elite minority who can. Immune is an absolute gem. If you have an interest in science, want to know more about the intricacies of the human body, or simply enjoy having a ready arsenal of fascinating tales to share at a dinner party, Immune is a safe bet. Do not be surprised if you find yourself subscribing to more science magazines or looking for similar reads in the future. Easy to read, quickly absorbing and chock full of humor, Carver's book is a great addition to any bookshelf. (Reviewed by Natalie Vaynberg). Not easy going for general readers given the depth, breadth, and detail Carver brings to a complex subject, but credit her for the wits—and wittiness—she uses to enlighten us. 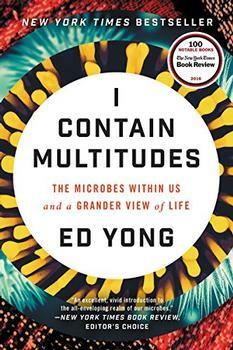 A comprehensive and absorbing work that will entice its audience (scientists and lay readers alike) with an interest in human biology." Starred Review. This splendid guide offers historical and scientific context on a subfield of biology that affects everyone and that is increasingly being harnessed to improve and save lives. A spectacular contribution to popular science writing. With exuberance and clarity, Catherine Carver makes the complex science easy to understand in this refreshing read. Immune is a fascinating journey through the body's defences. Carver's writing fizzes with descriptions, metaphors, and stories, taking us right into the inner workings of the immune system with flair and enthusiasm. Can Organ Transplants Change Who You Are? A staggering number: over 34,000 organ transplants were performed in the U.S. in 2017 alone. Another staggering number: 115,000 people are currently waiting for life-saving organ transplants in the U.S. As the medical techniques and success rates continue to improve, organ transplants are quickly becoming a tremendous lifeline for some of the population. Anyone who has had to consider an organ transplant has been, of course, informed of all the physical risks and dangers involved, but might there be something else to consider?